Making good impressions on patients begins by ensuring that the office is always clean and tidy. To keep a medical office clean and sanitized requires regularly scheduled cleaning. Because most medical offices are open during the day, cleaning the building must take place during the night. 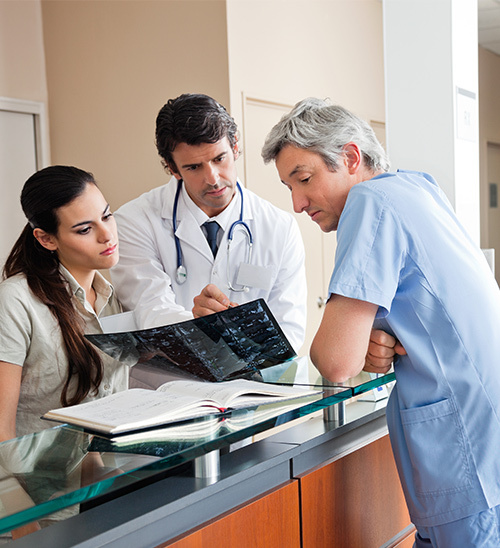 Medical offices have more than just a waiting area that requires cleaning. Examination rooms need thorough cleaning with the appropriate disinfectants to remove any bacterial contamination. Standard cleaning services include vacuuming, dusting high and low, the emptying of trash bins, restrooms cleaned and sanitized, the replenishment of toiletry supplies, break rooms cleaned and sanitized and floors mopped or vacuumed. Doors and doorknobs are to be cleaned and sanitized. Also to be done are polishing and dusting furniture, dusting window blinds and window seals, sweeping and mopping any tile or linoleum floors, and dusting air-conditioning and heating vents. Metro Clean can also handle special procedures, such as carpet cleaning, power washing, exterior window washing, and floor stripping and waxing. Our company offers the best service, at a reasonable price. These cleaning services should be consistent and done on a regular basis to make sure the office looks great and ensures sanitation and cleanliness day in and day out for all patients, guests and office personnel. You can rely on us to keep your laboratories and offices sanitized and spotless. The Occupational Safety and Health Administration (OSHA) also set strict medical cleaning standards for medical buildings and the team members within. Your patients and health care professionals deserve to be protected as best as possible from illness and injuries that could potentially occur in these areas. Metro Clean takes enormous pride in making sure your medical practice, clinic, or hospital is consistently in pristine condition. The Hazard Communication Standard (HCS) established by OSHA requires that the hazard of all chemicals be evaluated and information concerning their hazards, if any, be transmitted to team members who may be exposed to those chemicals under operating conditions or in foreseeable emergencies. The hazard communications program provides team members with means to understand the nature of any chemical hazard and medical waste to which he or she might be exposed during the course of work duties. The purpose of the program is to improve team member protection from chemical and waste hazard and thereby reduce illness and injury caused by exposure. It shall remain the responsibility of Metro Clean to ensure that the policies of the hazard communication program are implemented within each job site. This responsibility will include, but is not limited to: training, handling, safety, emergency procedures, site locations of Material Safety Data Sheets (MSDS), and emergency telephone numbers.